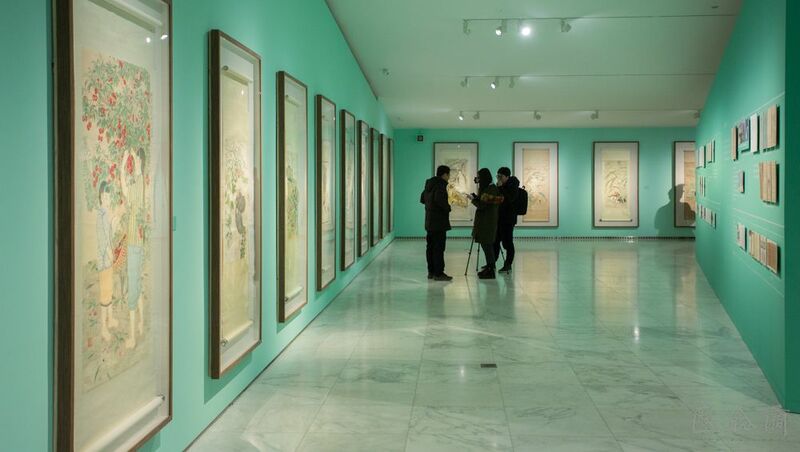 When the dust of history is flicked away, an extraordinary presentation of Mr. Zheng Jin’s life and art is exposed. 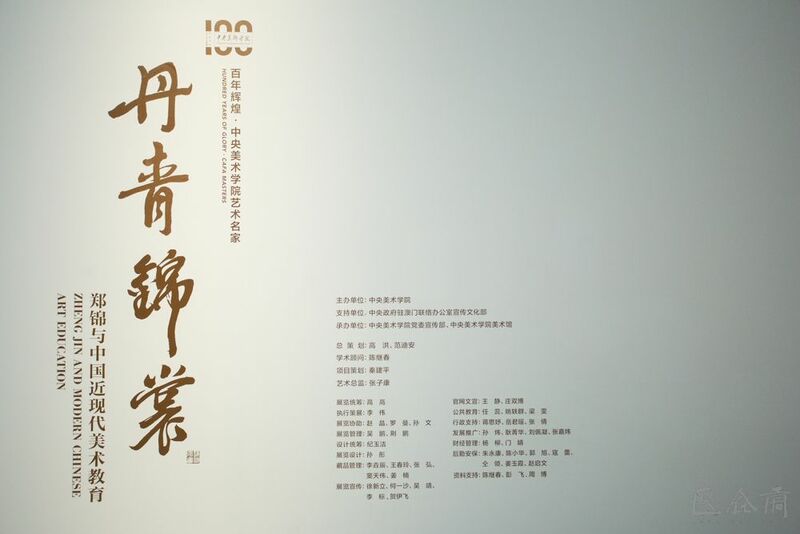 In fact, “Zheng Jin and the Modern Chinese Art Education” is a symbol of the founders of the Centennial CAFA “going home” through exhibitions, as the school was founded one hundred years ago. 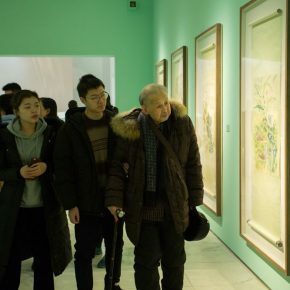 On the afternoon of January 9, 2019, the exhibition entitled “Zheng Jin and the Modern Chinese Art Education” was officially inaugurated. 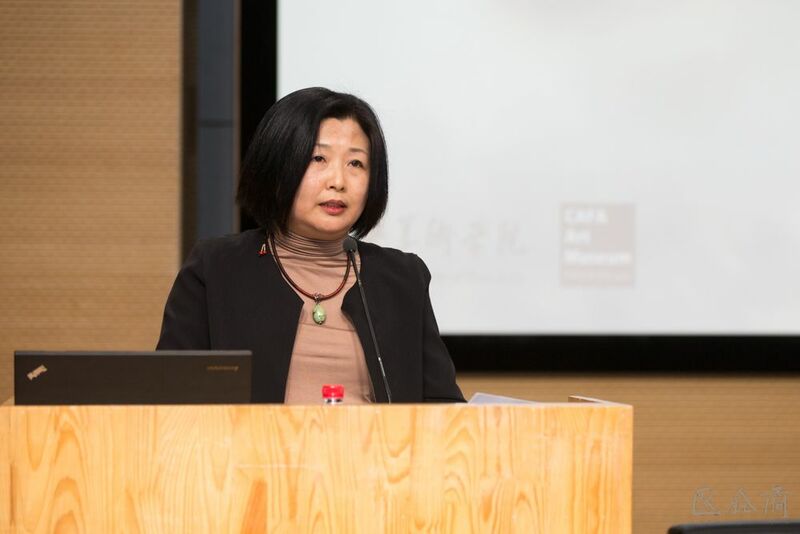 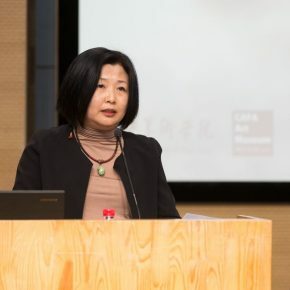 It was hosted by CAFA, supported by Department of Publicity and Culture at the Liaison Office of the Central People’s Government in the Macao Special Administrative Region, and was co-organized by the Propaganda Department of the Central Academy of Fine Arts and the CAFA Art Museum. 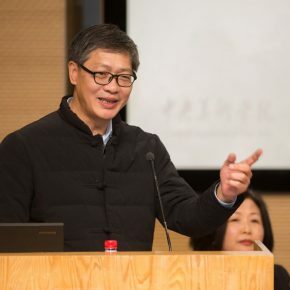 Some senior leaders and senior professors from CAFA such as Sheng Yang, Yang Xianrang, Li Shusheng, Yuan Baolin, Guo Yicong, Zhang Lichen, Jin Hongjun, Xue Yongnian, Zhang Baowei, Sun Jingbo, Huang Huaying, and Tang Yongli were present at the opening ceremony. 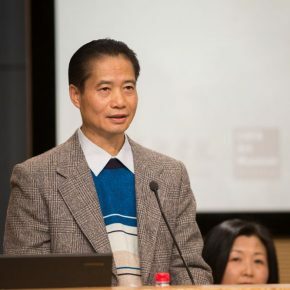 Zuo Zhongyi, Member of the Standing Committee of the National People’s Congress and Vice Chairman of the China Federation of Literary and Art Circles, Wan Sucheng, Director of the Department of Publicity and Culture at Liaison Office of the Central People’s Government in the Macao Special Administrative Region, Gao Hong, Party Secretary of Central Academy of Fine Arts, Fan Di’an, Chairman of China Artists Association and President of Central Academy of Fine Arts, Wang Shaojun, Deputy Party Secretary of Central Academy of Fine Arts, Chen Jichun, a scholar engaged in the study on Zheng Jin, representatives of Zheng Jin’s family members Zheng Weixiong, Zheng Weiqiang and Zheng Xiaofang, Wang Yuan, Assistant to Editor-in-Chief of People’s Fine Arts Publishing House, Professor Li Zhonghua from the School of Fine Art and Design at Hubei Engineering University, and Professor Peng Fei from the Academy of Fine Art and Design at Lingnan Normal University, as well as the teachers and students from the Central Academy of Fine Arts attended the opening ceremony, which was hosted by Su Xinping, Deputy Dean of Central Academy of Fine Arts. 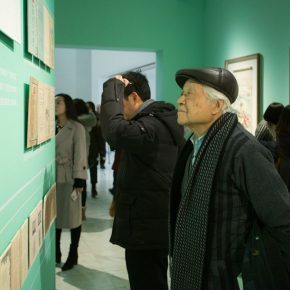 “At the beginning of the new year, ‘Zheng Jin and the Modern Chinese Art Education’ was inaugurated to commemorate the first president of the National Beiping Art School (renamed Central Academy of Fine Arts now) Zheng Jin. 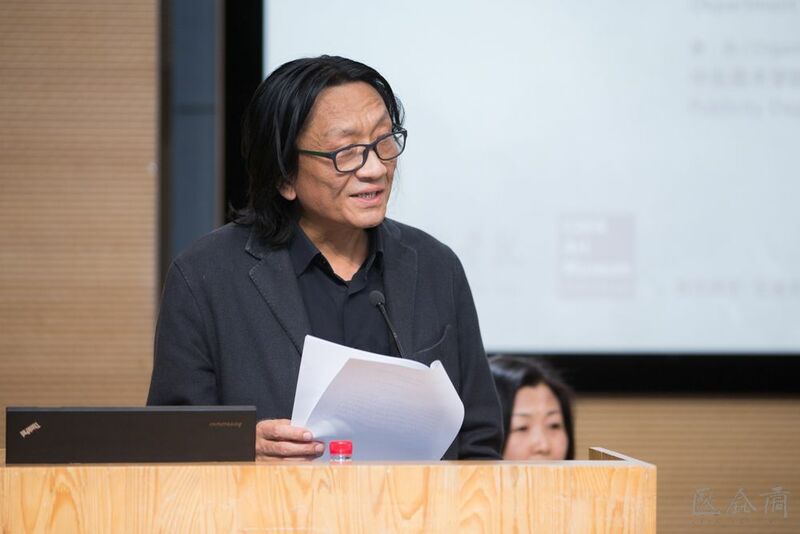 It is of an important academic significance and is also an exhibition that marks the end of the Centennial Celebration.” Fan Di’an, Chairman of China Artists Association and President of Central Academy of Fine Arts delivered a speech at the opening ceremony and said that, it was the 100th anniversary of the “May Fourth Movement”, and it was the time to commemorate the centennial new cultural movement. 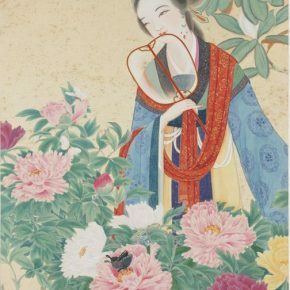 The establishment of the National Beiping Art School was a symbol of the establishment of modern art education in China. 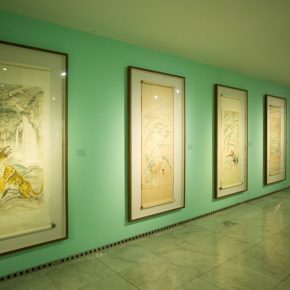 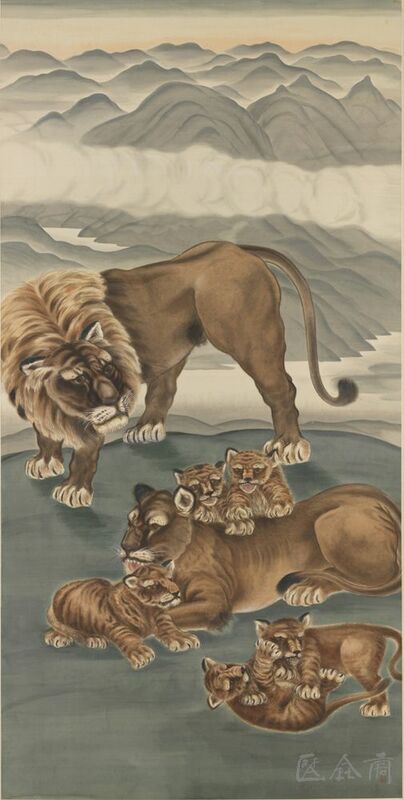 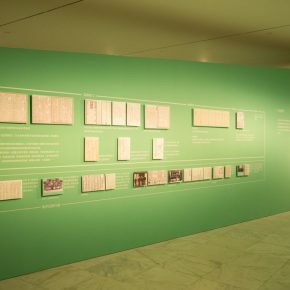 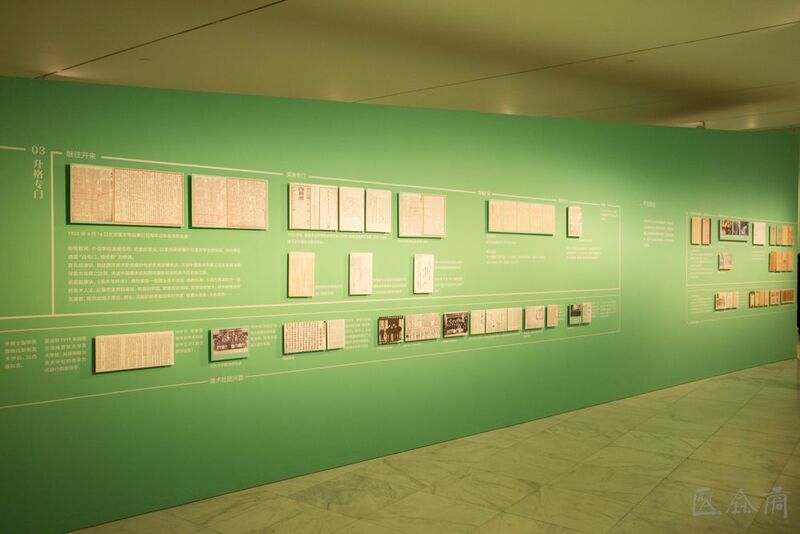 Fan emphasized that, it was undoubtedly a study on Zheng Jin’s art, and especially the exhibition of the achievements in art education and artistic creation, this was an important work which has enriched CAFA’s history and the whole history of art of China throughout the 20th century. 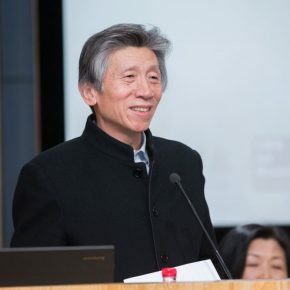 Also, it is a chance for us to pay a tribute to the late sage. 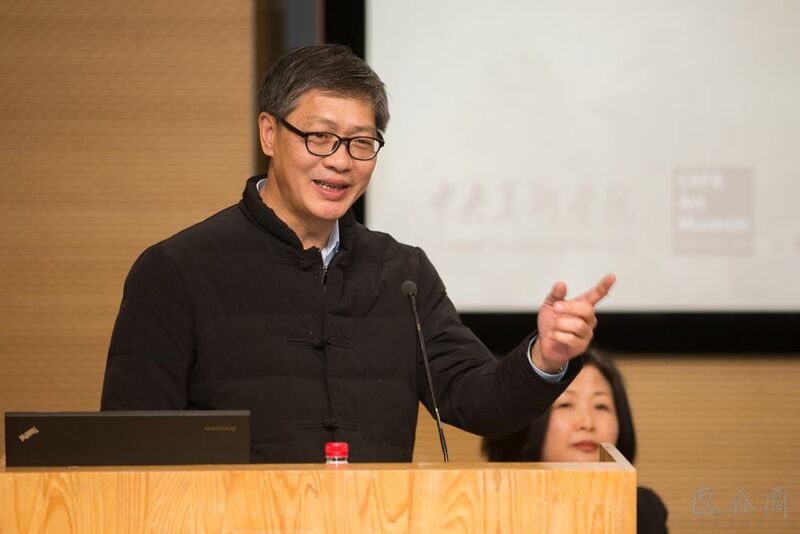 A scholar who is engaged in a study on Zheng Jin, Mr. Chen Jichun delivered a speech and talked about the origins and experiences in studying the art of Mr. Zheng Jin, and he said that as a graduate of Central Academy of Fine Arts, he would continue to deeply study the history of art of Macao and Zheng Jin’s artistic achievements. 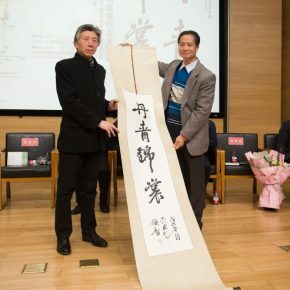 Zheng Weixiong, a representative of Mr. Zheng Jin’s family members, delivered a speech and he expressed his thanks to the Central Academy of Fine Arts that launched an exhibition for his grandfather Zheng Jin, on the occasion of the 100th anniversary of the founding of the school. 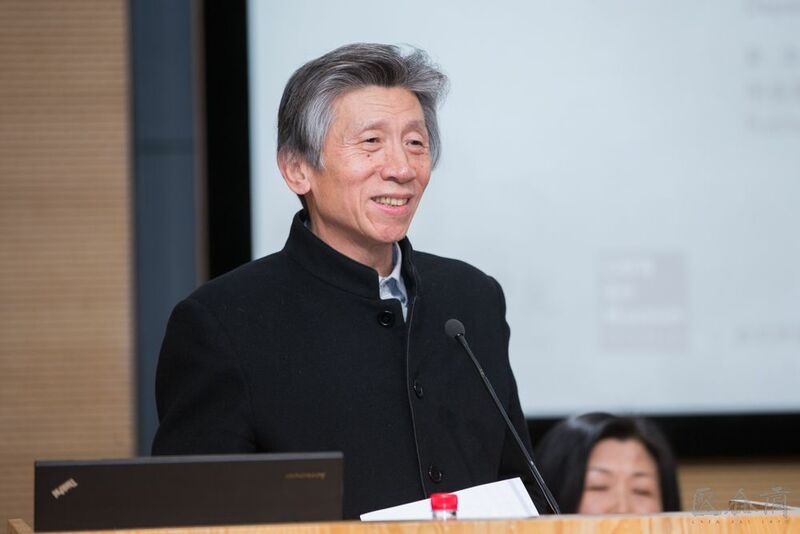 And also Zheng expressed his thanks to Mr. Chen Jichun, a scholar who has been engaged in a study on Zheng Jin for more than 20 years, who also makes a contribution to the content of the exhibition. 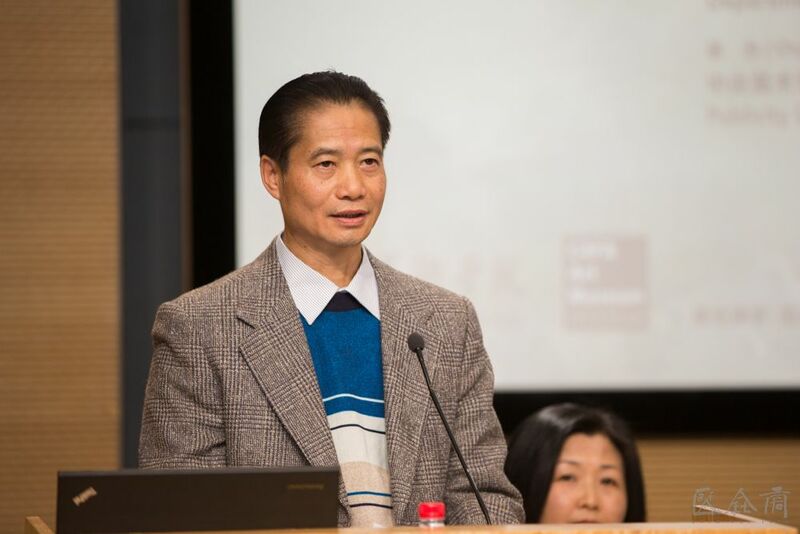 Mr. Chen Jichun has devoted himself to the academic research of Mr. Zheng Jin for more than 20 years. 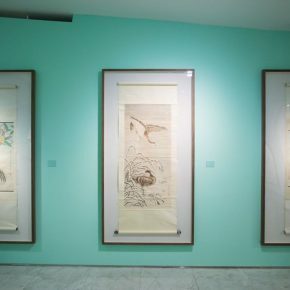 During this period, he finished the writing of the book of “Research on Zheng Jin’s Art”, which has been published by the People’s Fine Arts Publishing House. 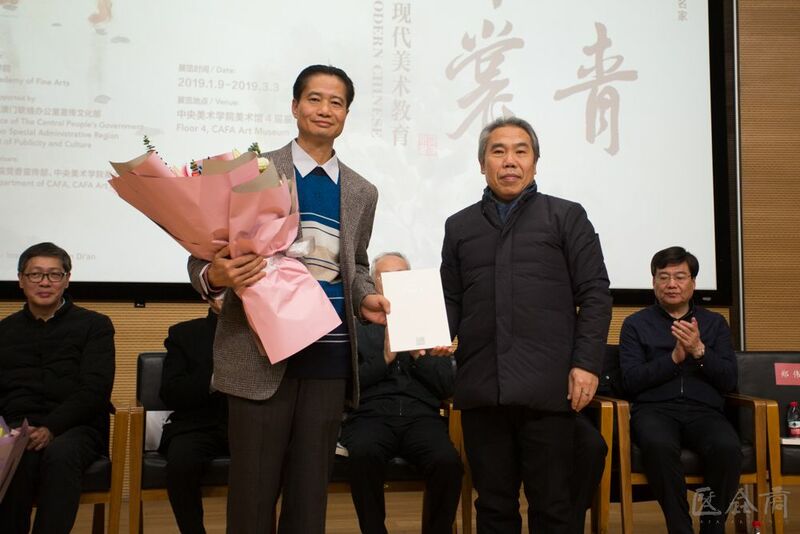 A book launch of “Research on Zheng Jin’s Art” was held at the opening ceremony, and Chen Jichun donated 100 copies of the book to his alma mater, the Central Academy of Fine Arts, for academic research. 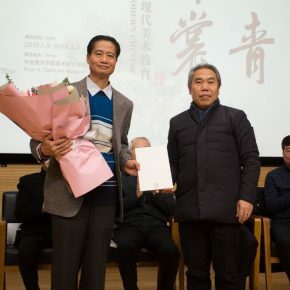 Gao Hong, Party Secretary of the Central Academy of Fine Arts, gave a donation certificate to Chen on behalf of the school. 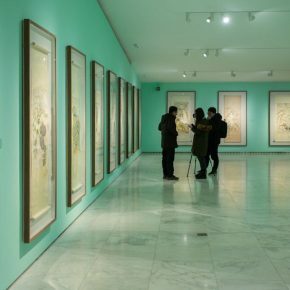 Wang Yuan, Assistant to the Editor-in-Chief of People’s Fine Arts Publishing House, said that the book of “Research on Zheng Jin’s Art” carefully and comprehensively reviews Zheng Jin’s study and educational achievement. 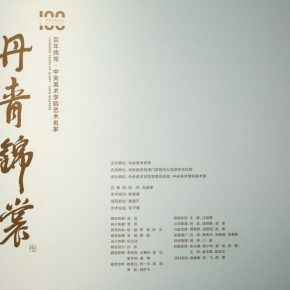 This systematic and rigorous academic book offers authentic and reliable first-hand information to the people engaged in the individual research on Zheng Jin and the research on CAFA’s history, and it has also, to a certain extent, made up for the lack of study on Mr. Zheng Jin. 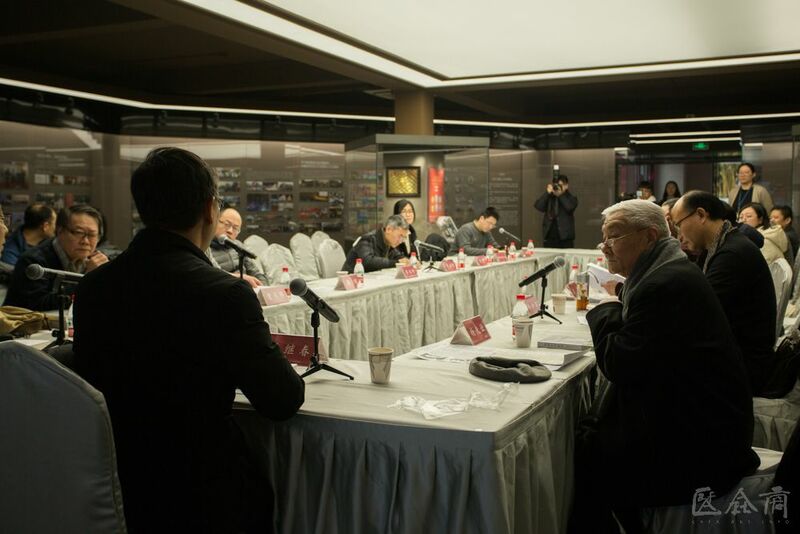 This successful exhibition has been greatly supported by Mr. Zheng Jin’s family members, and Mr. Zheng Weixiong, Mr. Zheng Weiqiang and Ms. Zheng Xiaofang donated Zheng Jin’s representative pieces including “Heroes Fighting”, “Picking Lychees”, to the school on behalf of their families, and Wang Shaojun, Deputy Party Secretary of Central Academy of Fine Arts gave a donation certificate to Mr. Zheng Weixiong on behalf of the school. 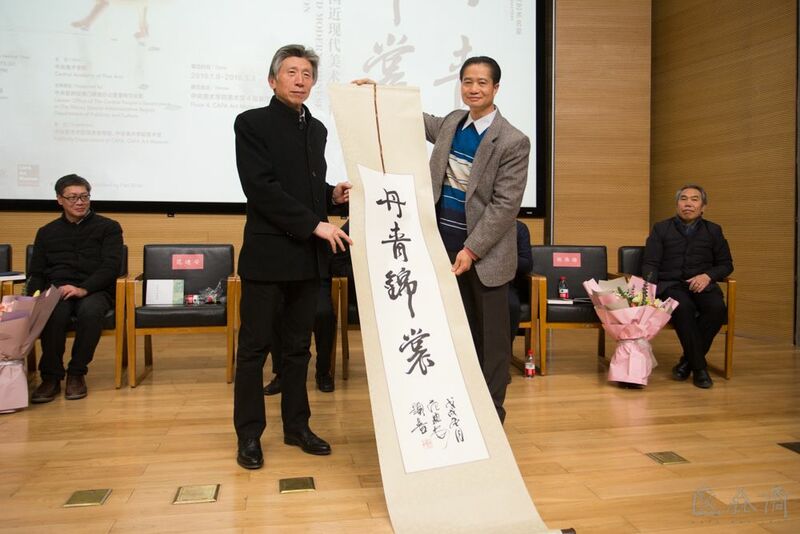 The President of Central Academy of Fine Arts Fan Di’an gave an inscription of the exhibition, “Dan Qing Jin Shang (Sumptuous Paintings by Zheng Jin)”, to Mr. Zheng Weixiong, in order to express his gratitude. 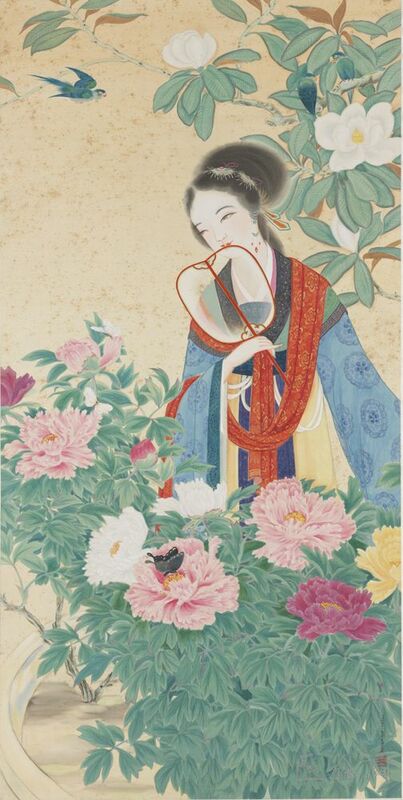 The well-known Chinese artist and art educator Zheng Jin was one of the important pioneers of modern art education in China, and was a loyal practitioner of the ideal of “The Substitution of Aesthetic Education for Religion” promoted by the “Father of Modern Education in China”, Mr. Cai Yuanpei. 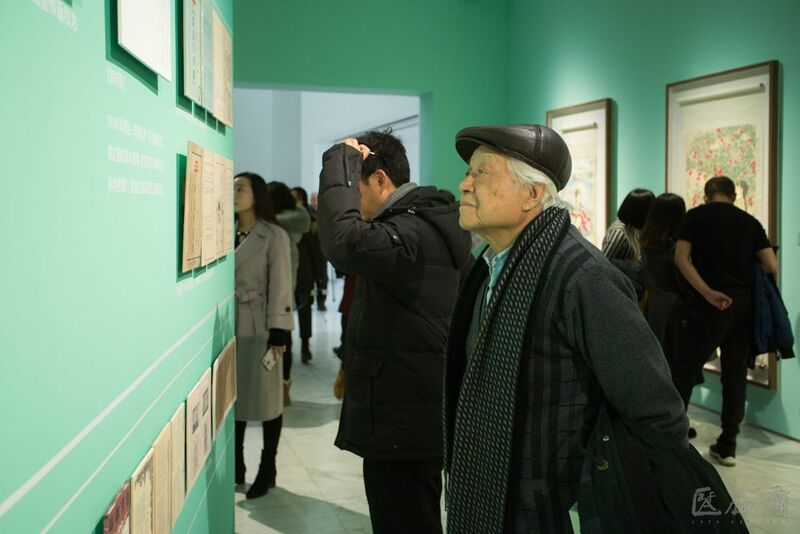 At the beginning of the last century, he took the “national art education” as his mission and passionately and diligently established the National Beiping Art School and served as the first president of the school, striving to construct the prototype of modern art education in China. 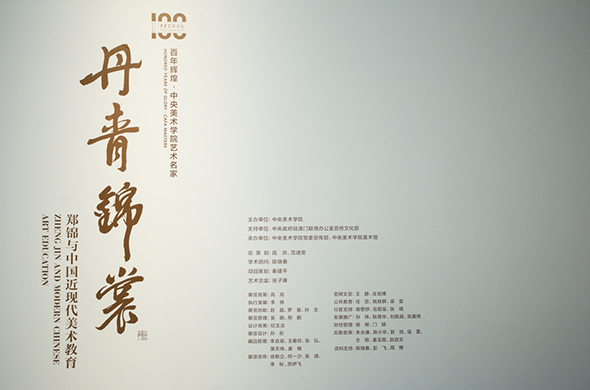 It is the 100th anniversary of the founding of the Central Academy of Fine Arts, and it has launched a series of events for the “Centennial Celebration Year”, including two representative academic events, “Xu Beihong—Living Art Forever” that started the Centennial Celebration and “Zheng Jin and Modern Chinese Art Education” that announces the end of the events of “Centennial Celebration”, designed to pay tribute to Xu Beihong, the first president of the Central Academy of Fine Arts (original named National Beiping Art School) and Zheng Jin, the first president of the National Beiping Art School. 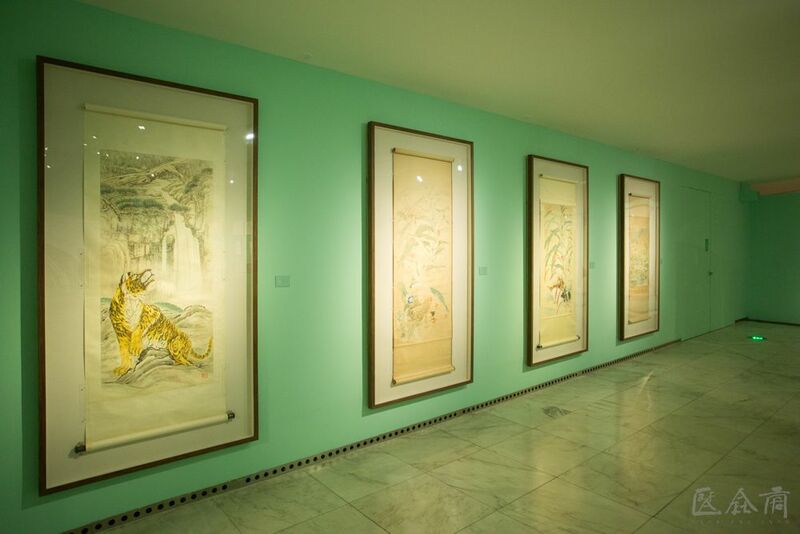 The exhibition “Zheng Jin and the Modern Chinese Art Education” is arranged depending on Zheng Jin’s two identities, art educator and artist. 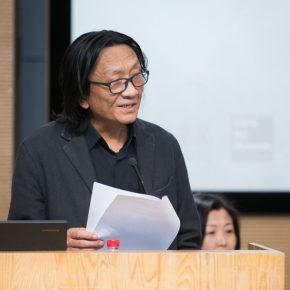 On the first hand, the documentaries of the three sections, “Why is Zheng Jin”, “ Education of the People” and “Residing in Macau” comprehensively review Zheng Jin’s life, from the preparation and development of the National Beiping Art School, to arriving in Ding County in Hebei Province and Zhongshan in Guangdong Province to promote education for the people and people’s art, and in the end he resided in Macau, and concentrated on painting. 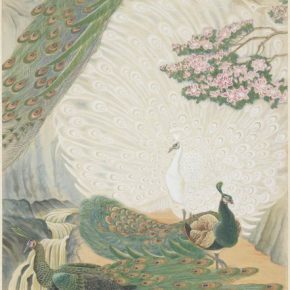 On the other hand, it brings together 26 masterpieces by Zheng Jin, covering the “A Fox” and “Magnolia and Peacock” which were created in the 1920s, as well as his last piece “Goddess of the Luo River”. 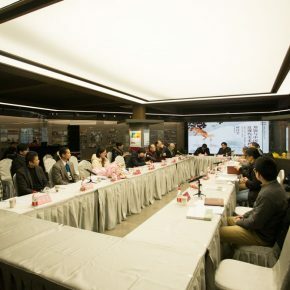 After the end of the opening ceremony, a seminar of “Zheng Jin and the Modern Chinese Art Education” was to create a discussion on Zheng Jin and his contributions to modern art education in China. 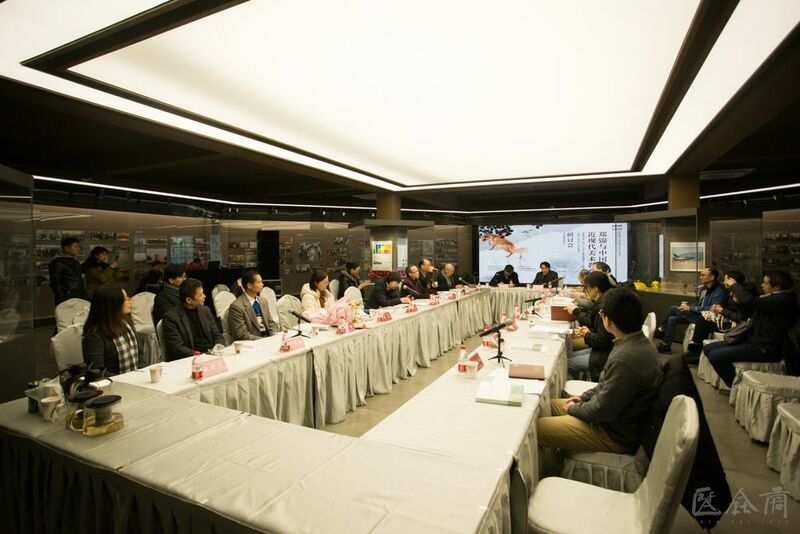 The participators included Senior Professors of the Central Academy of Fine Arts Yang Xianrang and Yuan Baolin, Professor Li Zhonghua from the School of Fine Art and Design at Hubei Engineering University, and Professor Peng Fei from the Academy of Fine Art and Design at Lingnan Normal University, Professor Cao Qinghui from the School of Humanities at the Central Academy of Fine Arts, Associate Professor Zhou Bo from the School of Design, Yu Yang, Director of the Chinese Painting Research Department and Deputy Director of the National Thematic Art Creation Research Center, and Fu Yijing, Director of the Research Department. 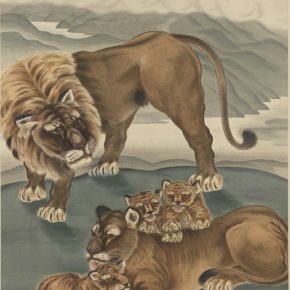 The first section is “Why is Zheng Jin”. 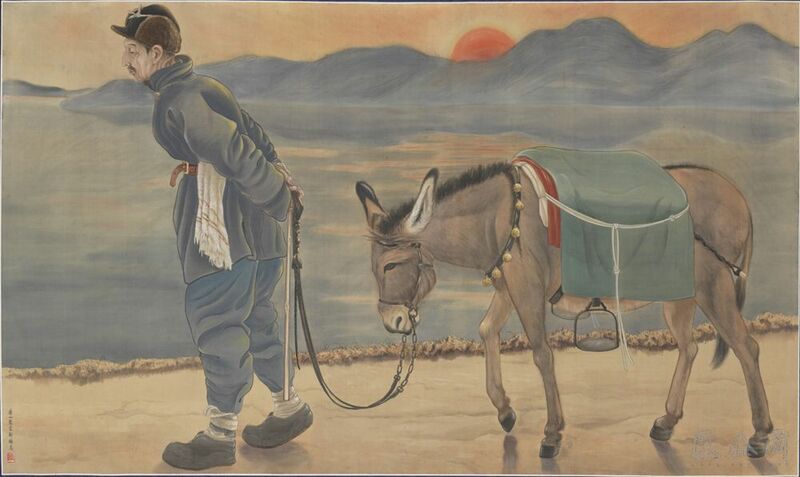 It highlights the experiences of young Zheng Jin who studied abroad in Japan and took “national art education” as his mission after he returned to China, and the stories of the establishment of the National Beiping Art School, and the creation of early national art educational forms. 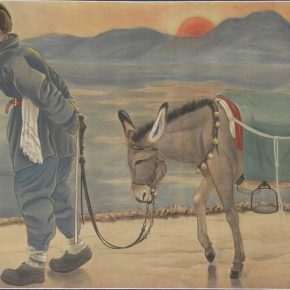 In the second section entitled “Civilian Education”, Zheng Jin overcame difficulties to implement national art educational practice, and later he arrived in Ding County in Hebei Province and Zhongshan in Guangdong Province, where he was committed to the education of the people and people’s art. 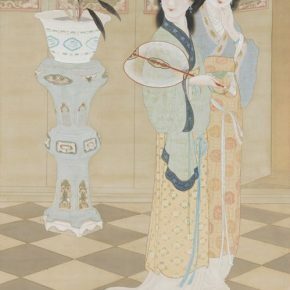 In the third section entitled “Residing in Macau”, Zheng Jin concentrated on painting, “the use of foreign skills to study the essence of Chinese painting”, and created quiet and elegant paintings.